The Trans-Pacific Partnership TPPA is a free trade agreement that has been negotiated by Japan, Vietnam, Malaysia, Singapore, Brunei, Australia, New Zealand, Chile, Peru, Mexico, United States, and Canada since 2010. If signed, the TPPA will cover a about 40 percent of the world’s economy (i.e. GDP of US$27.5 trillion). It is the goal of the negotiating parties to expand trade and investment across the Pacific Rim region through the elimination of tariffs and harmonisation of trade regulations. Equally important are strategic and geopolitical interests in the conclusion of the TPPA. The process of the negotiations (i.e. negotiations are carried out behind closed doors), as well as its content of the TPPA is highly controversial. 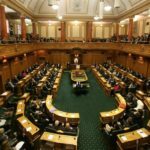 An issue that stands out with regards to the proposed content of the TPPA is the investor-state dispute settlement (ISDS) provisions. It is an issue that goes to the heart of democracy. 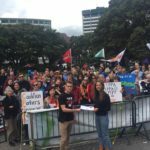 ISDS may excessively curtail New Zealand’s autonomy to regulate its own affairs, especially in the areas of human rights, environmental protection and public health. Concerns with investor state protection mechanisms relate, among others things, to a lack of legitimacy and transparency, contradictions between arbitral awards, questions about the independence and impartiality of arbitrators, and concerns relating to the costs of arbitral procedures. ISDS provisions enable foreign investors to challenge laws or policies of governments if they believed that it diminished their future profits. Where an investor alleges that a Party has breached TPPA obligations, say through unfair or unequal treatment or indirect expropriation, then it can refer the matter to an ad hoc international arbitration tribunal. Inclusion of provisions to protect investors would offer multinational corporations an unfair advantage because they could sue governments for damages if policies implemented interfere with their investment interest. Following the Fukushima disaster, German Chancellor Angela Merkel decided in 2011 to phase out all nuclear power plants by 2021. The eight oldest nuclear power stations were closed down immediately. In March 2011, Chancellor Merkel announced the immediate withdrawal of the operating licences of the eight oldest German nuclear power plants. Two of these power plants are owned by the Swedish state-owned energy giant Vattenfall. In May 2012 Vattenfall filed suit at the Washington-based International Center for Settlement of Investment Disputes (ICSID), demanding $6 billion in compensation because of Germany’s decision to phase out nuclear energy. The arbitration proceeding is still ongoing and is conducted behind closed doors. Given the power of the arbitration tribunals to issue compensation awards that may affect the regulatory autonomy of a country, the independence of the tribunal and of the arbitrators should be of utmost importance. However, the transparency and integrity of the investor-state arbitration tribunals has been frequently called into question. First, there is no independent judiciary that decides international investment disputes. Arbitration tribunals operate independently of a country’s judicial system. Second, their decisions are legally binding but cannot be appealed. Third, three private individuals generally make up an international arbitration tribunal. That means that private individuals are entrusted with the power to review a government’s actions, such as laws. These arbitrators are appointed ad hoc, sometimes after having worked as lawyers for the investor which raises serious questions around conflict of interests. Forth, most arbitrations between investors and States are conducted outside the public spotlight even though these disputes usually involve public interest, such as taxpayers’ money, natural resources or environmental issues. On 1 April 2014, the UNCITRAL Rules on Transparency in Treaty-based investor-State Arbitration came into effect. These rules comprise a set of procedural rules that provide for transparency and accessibility to the public of treaty-based investor-State arbitration. However, in order for these rules on transparency to apply in the TPPA context, they have to be incorporated into the TPPA. If incorporated, these rules would bring an end to the closed door policy and increase the transparency of international investment arbitration. ISDS provisions in the draft TPPA text may confer greater legal rights on foreign businesses than those available to domestic NZ businesses. In contrast to general international law, ISDS provisions do not require that an investor first exhaust national legal remedies before initiating investor-state arbitration. In fact, ISDS provisions grant foreign investors the right to bypass the domestic courts of the host country altogether. In doing so, these provisions expand the available legal remedies and rights of investors at the expense of democratic process. Investors can use both avenues simultaneously, or file a complaint through one channel and if unsuccessful, turn to the other. For instance, Philip Morris, the world’s largest tobacco company, is currently suing Australia (and Uruguay) over Australia’s plain packaging laws. Philipp Morris previously lost the case in the Australian High Court (Philip Morris Asia Limited v. The Commonwealth of Australia, UNCITRAL, PCA Case No. 2012-12). It is possible that the protective provisions in favour of a foreign investor supersede the protections extended by New Zealand law, thus providing the investor not only with an additional legal remedy, but with additional rights over and above domestic investors and companies. Proponents of investor state protection claim that it actually promotes foreign direct investment especially in countries with questionable judicial systems. However, Australia, Germany and Belgium have reliable legal framework and an independent judiciary. So does New Zealand. “ISDS provisions can impose a range of potential problems on sovereign countries, the nature and extent of which are very difficult to calculate and may not be known at the time an agreement is made”. Additionally, “Experience in other countries demonstrates that there are considerable policy and financial risks arising from ISDS provisions”. The extensive study on the cost and benefits of international trade agreements for Australia can be accessed here. The investment provisions in the TPPA essentially future-proof against new and changing regulations. They provide for protections against future policy changes while limiting a government’s ability to legislate in the interest of the public. This may result in undue control over government’s action, thereby undermining the democratic process and the rule of law. ISDS provisions provide powerful multinational companies with an avenue to potentially influence political decision-making (this is known as the ‘chilling effect’). For instance, New Zealand is holding off its plans to implement plain packaging standards until the matter between Philip Morris and Australia has been resolved. Investor state protection may also limit a government’s ability to respond to a national crisis. For example, in the wake of the global financial crisis, the Belgian government nationalised Fortis, a Belgian Dutch bank. Ping An, China’s second-biggest insurer, filed an international arbitration claim against Belgium over US$2.28 billion in an attempt to recoup losses from its investment in Fortis. The arbitration process is still ongoing. In 2014, Russia was ordered to pay more than US$50 billion in compensation for the indirect expropriation of OAO Yukos Oil Company. It is the biggest arbitration award ever made (Hulley Enterprises Limited (Cyprus) v. The Russian Federation (PCA Case No. AA 226); Yukos Universal Limited (Isle of Man) v. The Russian Federation (PCA Case No. AA 227); Veteran Petroleum Limited (Cyprus) v. The Russian Federation (PCA Case No. AA 228). The costs of the arbitration, including the arbitrators’ fees, and all other expenses amounted to US$ 9,131,234.45. The claimants incurred costs for legal representation (i.e. lawyer’s and experts fees) of US$79,628,055.56 of which Russia was ordered to pay US$ 60 million). Considerable amounts of taxpayer’s money will get hoovered up if a country defends itself against a claim of a foreign investor. It is unclear how anyone other than big overseas companies will benefit from these ISDS provisions. It is most certainly not in the interest of the public or democracy. Free trade agreements of the past have neither been free nor fair. They have opened market opportunities for some countries. 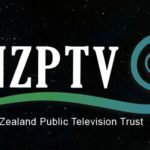 NextHow far does GCSB ‘trade team’ spying go?